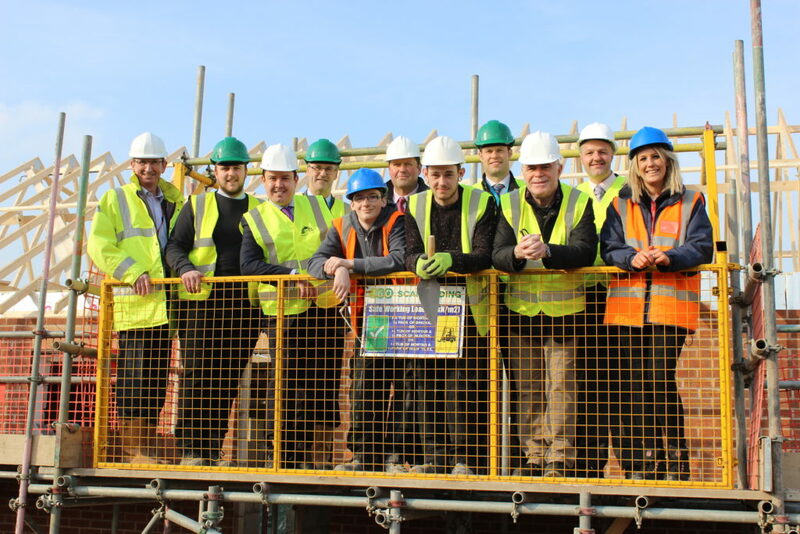 A raft of students from North Nottinghamshire College will be given invaluable work experience over the next three years thanks to a partnership with local construction company Woodhead and A1 Housing. A total of 84 construction students from the college will get the chance to spend a week working on the Smith Square site in Harworth over the next three years, where Woodhead and A1 Housing are in the process of replacing outdated ‘Airey Houses’ with 71 modern and energy efficient homes. Woodhead, A1 Housing and North Notts College kicked off the programme during National Apprenticeship week as the first three students got a taste of working life. “From the planning stages of this project it was our intention for local people and local communities to get much more out of this than simply new Council homes. “It’s great to see young people spending time on our sites, learning a skilled trade from our team, especially during National Apprenticeship Week. Each of the students successfully achieved their CSCS card with us last week, which means that they have demonstrated that they are competent enough to work safely on a building site, this is something that they can take with them for future opportunities. “We are delighted to be able to offer our students this opportunity with Woodhead, as they will benefit enormously from the experience of working on a real project. “Developing their practical trade skills in our workshops is an essential part of their programme, but there is no substitute for having the chance to apply those skills on the job, along with all of the expectations of them relating to behaviour, timekeeping, health and safety, and so forth.